Write the Full Name of the payee as per the payee's bank records on the Pay line. Cross out the Bearer word on the cheque and double cross on the top left corner of the cheque if it has to be paid only to the said payee. 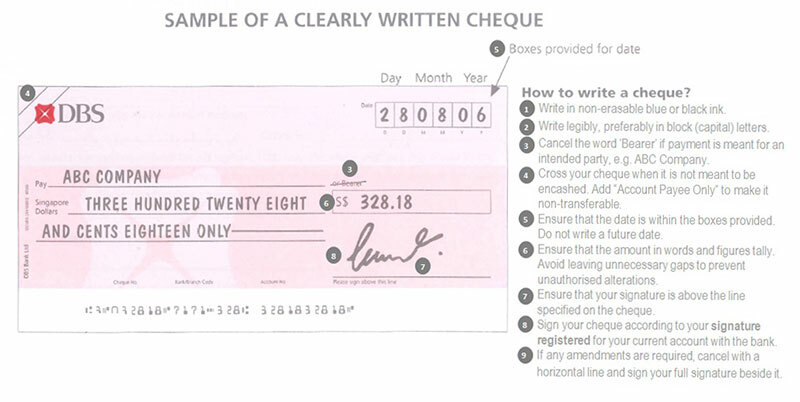 Sign your cheque according to your signature as per bank's records. If any amendments are required, cancel with a horizontal line and sign your full signature beside it. Write Cash on the Pay line. Do not cross the cheque or cross out the Bearer word.